Another Southern body shop owner has announced he’ll run as insurance commissioner. Matt Parker of West Monroe, La.-based Parker Auto Body plans to take on incumbent Commissioner Jim Donelon, a fellow Republican, according to KNOE and an Associated Press report posted on the station. Donelon became commissioner in 2006, while Parker has never run for office, according to the Associated Press. “I do not seek to be the Insurance Commissioner to launch a political career, but, rather, I want to be Insurance Commissioner to launch a crusade for the consumers of Louisiana,” Parker said in a statement. Parker in a statement criticized Donelon for taking insurance industry contributions, “and we, the consumers, pay for it every time we pay our insurance premiums,” according to KNOE. Parker vows he will not take insurance contributions. Body shops have stepped up to fund his campaign. The Associated Press said Parker had a little less than $14,000 in campaign funds, while Donelon had more than $442,000. 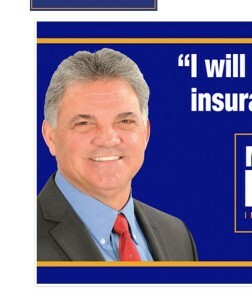 On his Facebook page, Parker also criticized the Louisiana Citizens Insurance Company, the nonprofit insurer of last resort, as having cost taxpayers millions. Parker was also featured on the “Anderson Cooper 360” investigation into auto insurance practices.